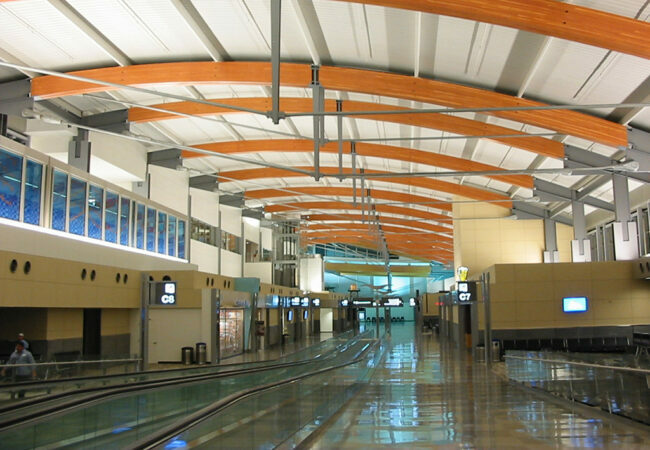 Raleigh-Durham International Airport – Fish Construction, Inc.
Terminal 2 at Raleigh-Durham Int’l Airport opened October 2008 with expansive walls of glass, steel beams, and the first airport to incorporate a wood truss structure. 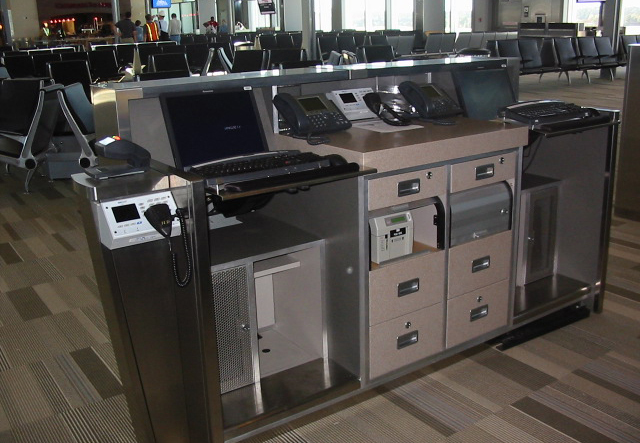 FCI assisted the design and engineering teams to create millwork products made out of granite, stone, and steel. 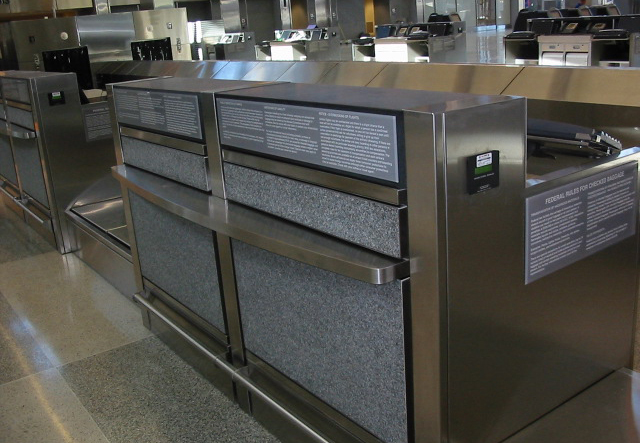 The stone veneer selected was an innovative product at the time which utilized a honeycomb backing, significantly reducing the weight of normal stone material. 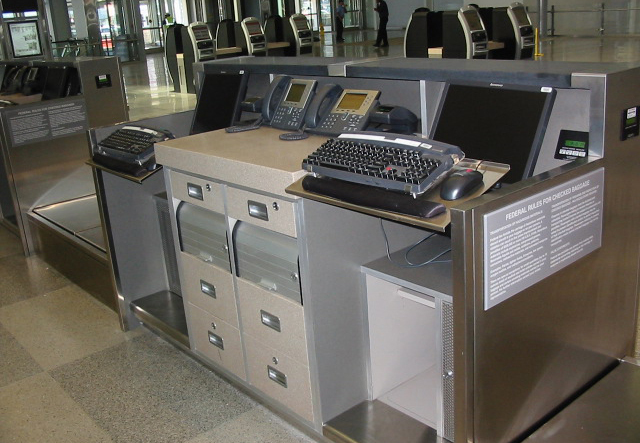 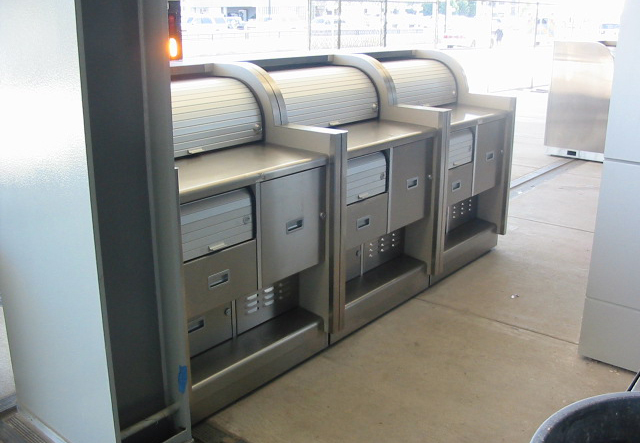 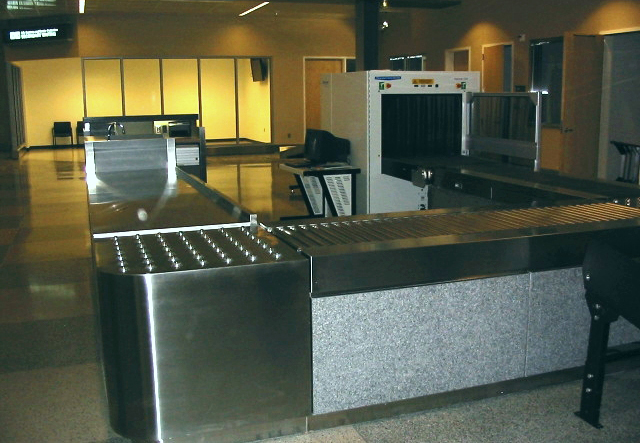 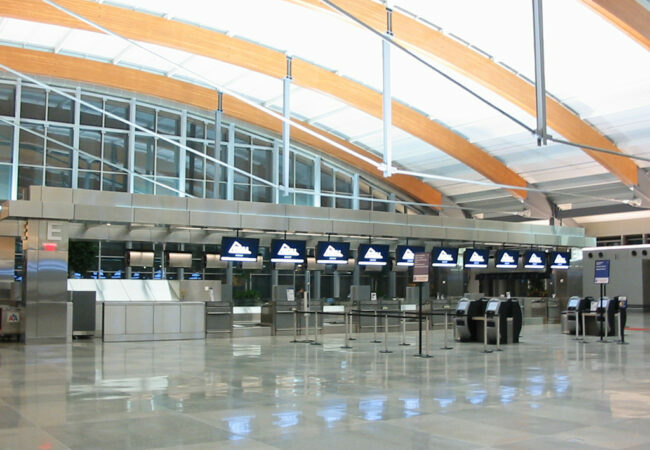 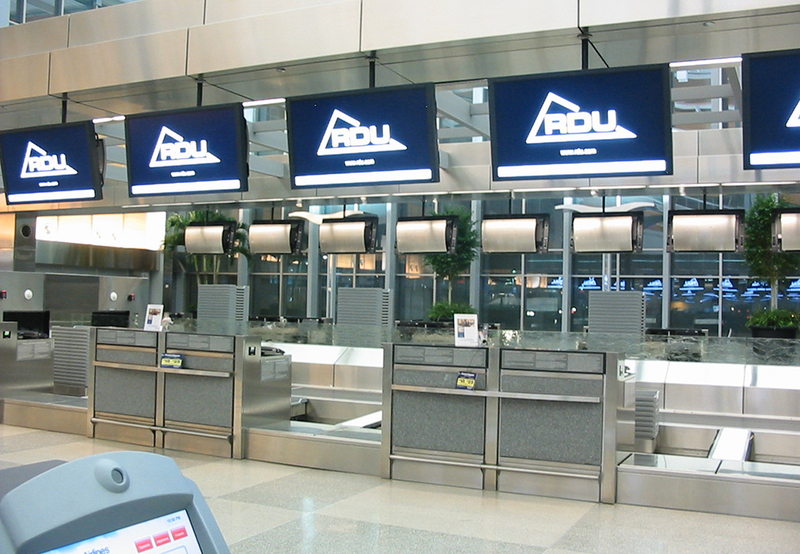 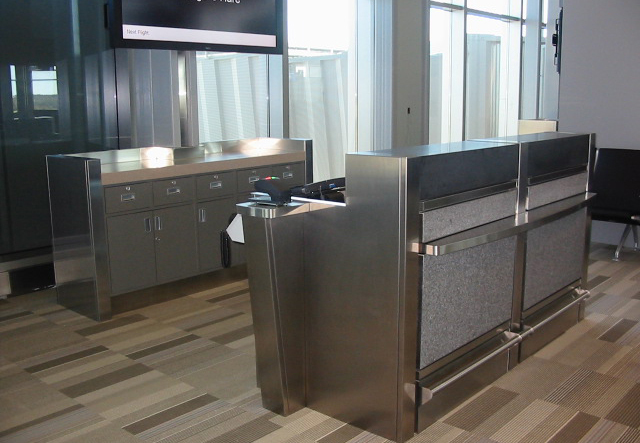 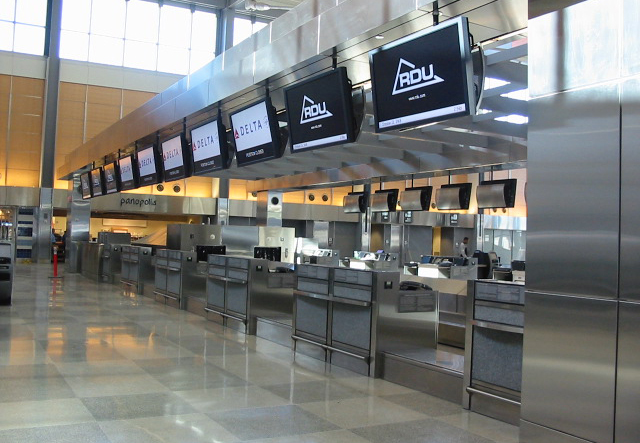 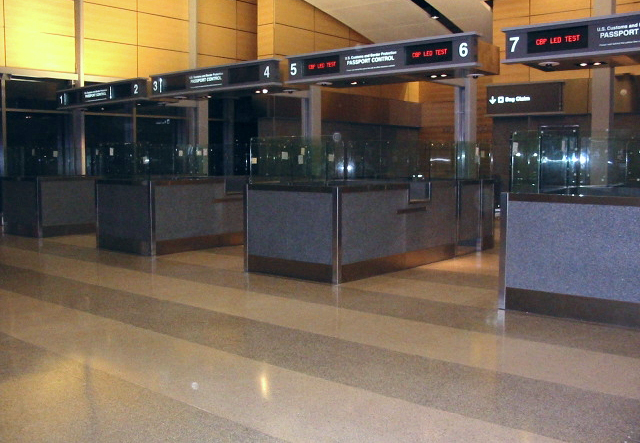 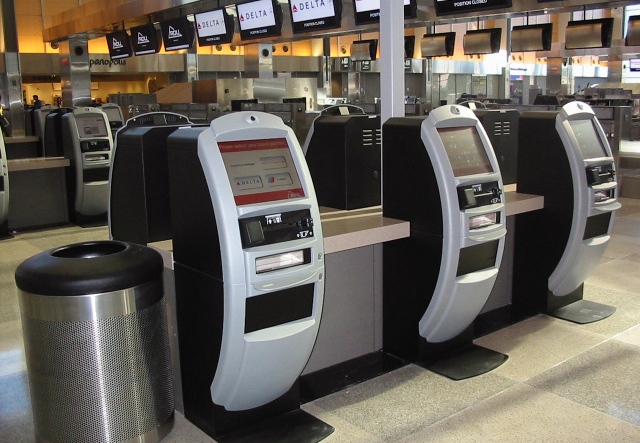 Millwork included 32 gates, 38 double and single check-in counters set within 3 island configurations, over 60 self-service podiums, INS immigration booths, and curbside counters.